First, you take your classic mentally-disturbed individual, someone like, say, John Hinkley, Jr., Mark David Chapman, or Travis Bickle, or a total wack job like Cesar Sayoc, and you paint whichever clearly psychotic crimes he’s committed as acts of “terrorism.” Don’t worry about the definition of “terrorism” or how it has become a virtually meaningless label the capitalist ruling classes and corporate media can slap onto anyone. Just keep saying “terrorist,” “terrorism,” and any other lexical derivatives of “terror,” over and over, like some kind of mantra … you know, like the Hare Krishnas do. Next, you take whatever obsession your disturbed individual is maniacally obsessed with, and you paint that obsession as an “ideology,” or some kind of organized political movement, as if your wack job was actually a rational person and not just a totally paranoid geek who decided to attempt to assassinate Reagan because he couldn’t get a date with Jodie Foster, or to murder John Lennon because God had ordered him to do so in a J. D. Salinger novel. If that sounds a little complicated, don’t worry, folks, it’s really not! The ruling classes and the corporate media just provided us with a demonstration of the Putin-Nazi-Terrorist-O-Matic in action, which proves how easy-to-use it is. In the span of just a single week, they whipped up so much mass paranoia that, by the weekend, millions of hysterical liberals were calling for a Deep State coup, and the arrest and internment of all registered Republicans, because a right-wing loon had sent a bunch of non-exploding bomblike devices to prominent members of the neoliberal “Resistance,” or rather, to their respective mail-screening services. We are experiencing a similarly historic ideological readjustment at the moment, which I’ve been trying to capture (satirically and more seriously) since it began in the summer of 2016. 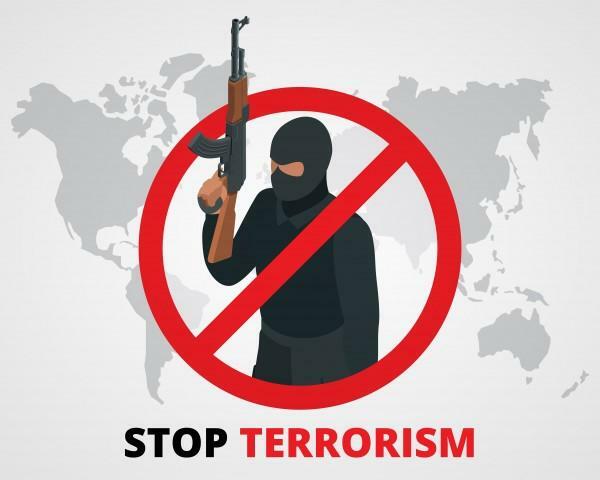 The official “War on Terror” narrative (and people’s understanding of what “terrorism” is) is being gradually redefined and expanded to encompass any and all forms of “extremism” (i.e., whatever the ruling classes decide is “extremism”). I described this, back in January, as a global capitalist “War on Dissent,” and I think events over the last ten months have largely confirmed my diagnosis.